On December 12, 2015, Jean drove away from a check cashing location she visited in Queens, New York. 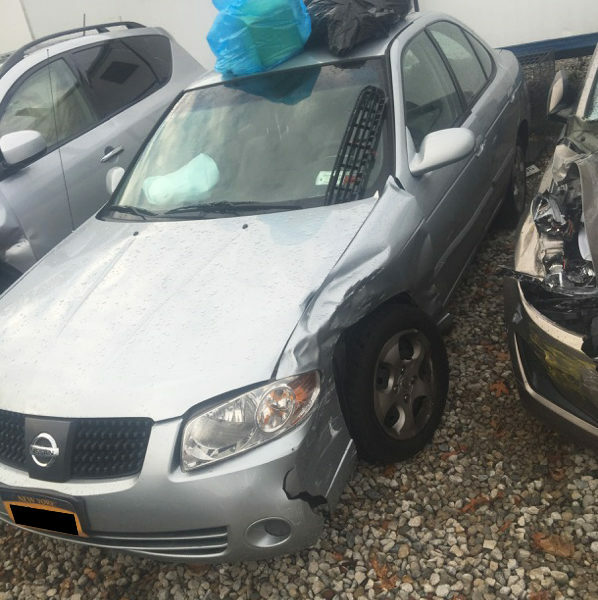 As she was driving through the intersection of Rockaway Boulevard and 127th Street, another vehicle struck the driver side of Jean’s vehicle. Jean lost consciousness upon impact with the other car and the next thing she remembered was waking up in the hospital with a neck brace on. She was taken by ambulance to Jamaica Hospital Medical Center for evaluation and stayed overnight in the emergency room. As a result of the accident, Jean’s car was totaled. She attended physical therapy for the pain in her neck, shoulders, and lower back for several weeks. Jean described the worst pain she felt in her neck as a constant pain that shoots into her bilateral shoulders, with occasional numbness and tingling down the left arm. Day to day activities, such as putting her clothes on, were difficult and painful to accomplish. Jean’s friend recommended that she contact The Case Handler. She was hesitant at first on what lawyer to hire and trust with her case, but she made the call anyway to The Case Handler. She called The Case Handler team and spoke to Sandra, paralegal to Adam Handler. Since Jean was physically unable to come to the office, The Case Handler came to her! She was impressed and thankful to Sandra for visiting her. Any hesitation Jean had was completely gone. “I got the right people,” said Jean. 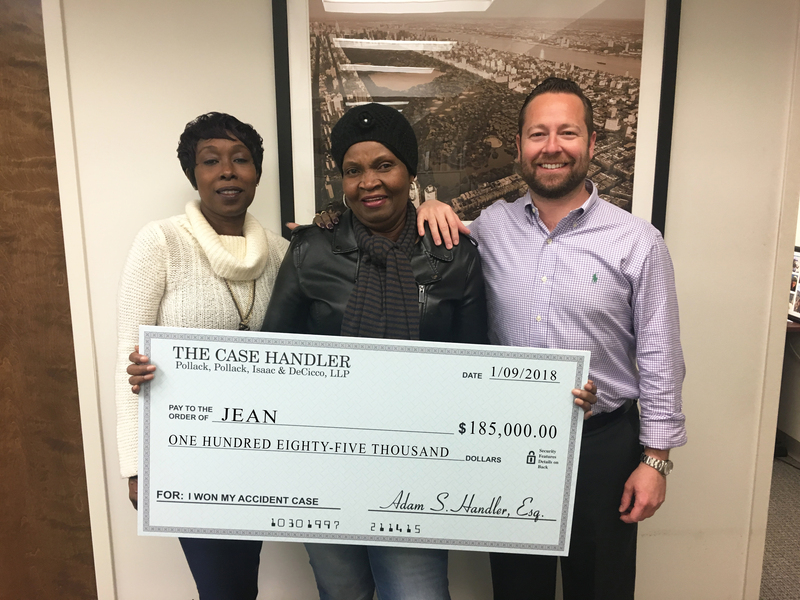 Thanks to Jean’s trust in us, The Case Handler team was able to recover a $185,000.00 settlement for her! In a matter of seconds, life can drastically change due to a car accident. That is why The Case Handler team will fight to win life-changing money for your life-changing injuries. With only one shot are recovering money for your injury, make sure you have a reputable legal team that will fight for every last dollar you’re entitled too. If you’re not sure which lawyer to hire like Jean initially was, give our office a call to see if The Case Handler is the right team for you.